Shares of Jet Airways (India) slipped 4 per cent to Rs 242 in early morning trade on the BSE on Thursday, falling 9 per cent in past two trading days as the financial crises deepen in the cash-starved airline. 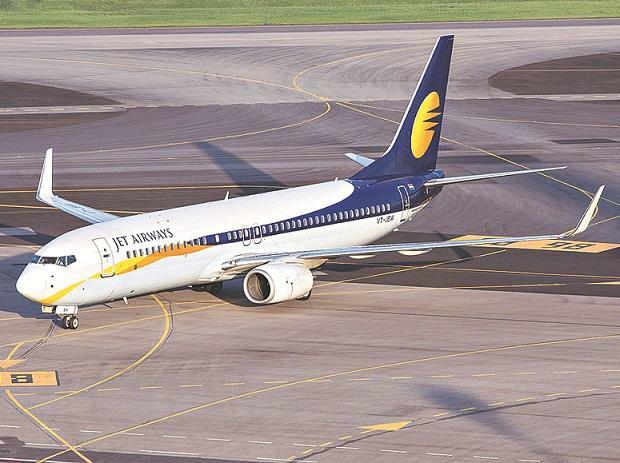 Jet Airways has grounded 15 additional aircraft due to non-payment of amounts outstanding to lessors under their respective lease agreements, the airline said in a regulatory filing on Monday. Now, the total number of planes grounded on account of default in lease rental payments, as disclosed by the airline, stands at 69. According to a PTI report, the company on Wednesday deferred the March salary payment to its employees, citing "complexities" involved in the finalisation of the debt-recast plan, under which the State Bank of India (SBI)-led consortium of lenders has taken over the management control of the airline. “Once approved by all stakeholders, the final structure will offer more color on the eventual shareholding while airline operations will continue to be overseen by the existing professional management. While efforts are being made to rationalize costs and rejig the existing network to reduce losses, adequate capital support to execute the plan will be key for the airline’s revival,” analysts at SBI Securities said in December quarter review dated February 15, 2019. The brokerage firm has ‘hold’ rating on the stock with a target price of Rs 180 per share. In the past seven trading days, the stock of Jet Airways down 12 per cent, as compared to 2 per cent rise in the S&P BSE Sensex.